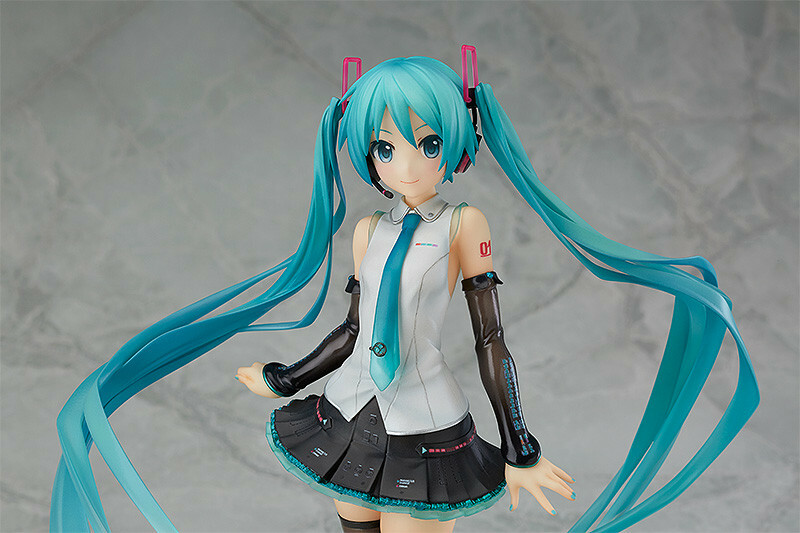 The cute electronic diva is back in a brand new outfit! 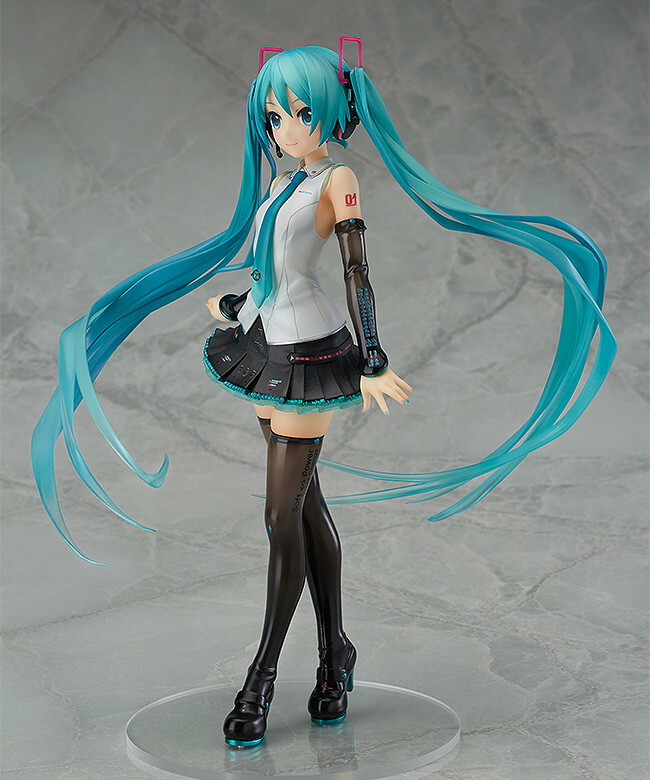 A 1/8th scale figure of Hatsune Miku V4X, the upgraded voice synthesizer that allows for more natural and expressive singing! 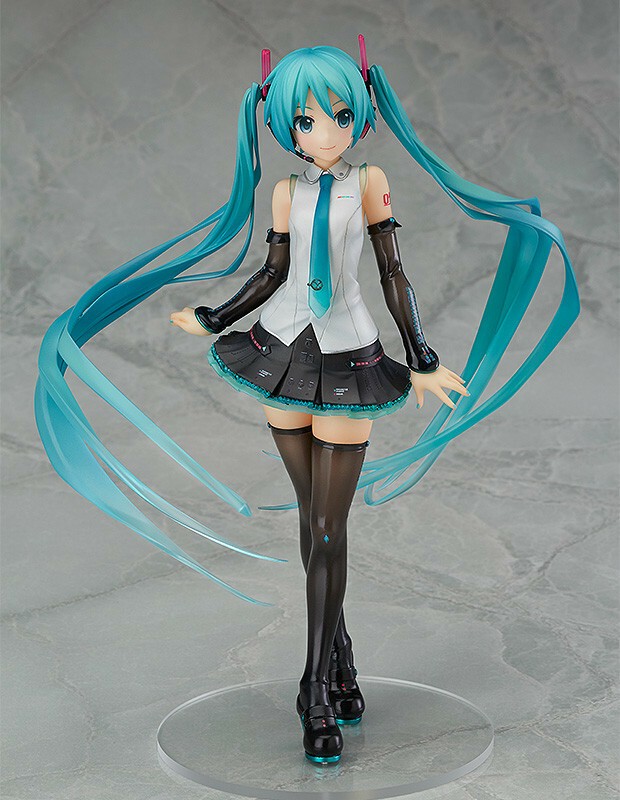 The figure is based on the main illustration for Hatsune Miku V4X done by iXima which features Miku in a beautiful, elegant pose! Her youthful body line has a lovely soft appearance which contrasts against the sharp appearance of her twin-tailed hair. 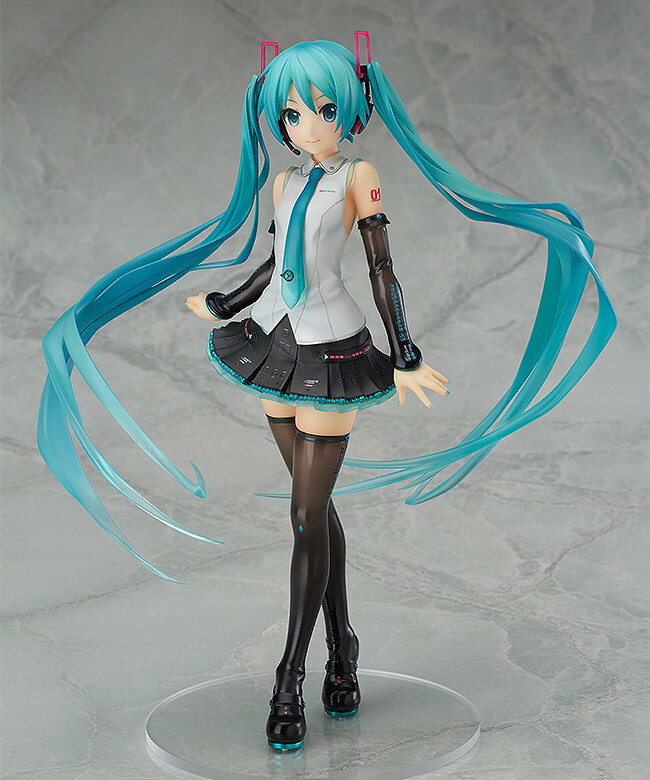 Be sure to add her to your collection and enjoy the charm of the all-new Hatsune Miku! Painted 1/8th scale ABS&PVC figure with stand included. Approximately 220mm in height (stand included). Preorders will be open from 7th March 2017 (Tue) from 12:00JST until 6th April 2017 (Thu) at 12:00JST.